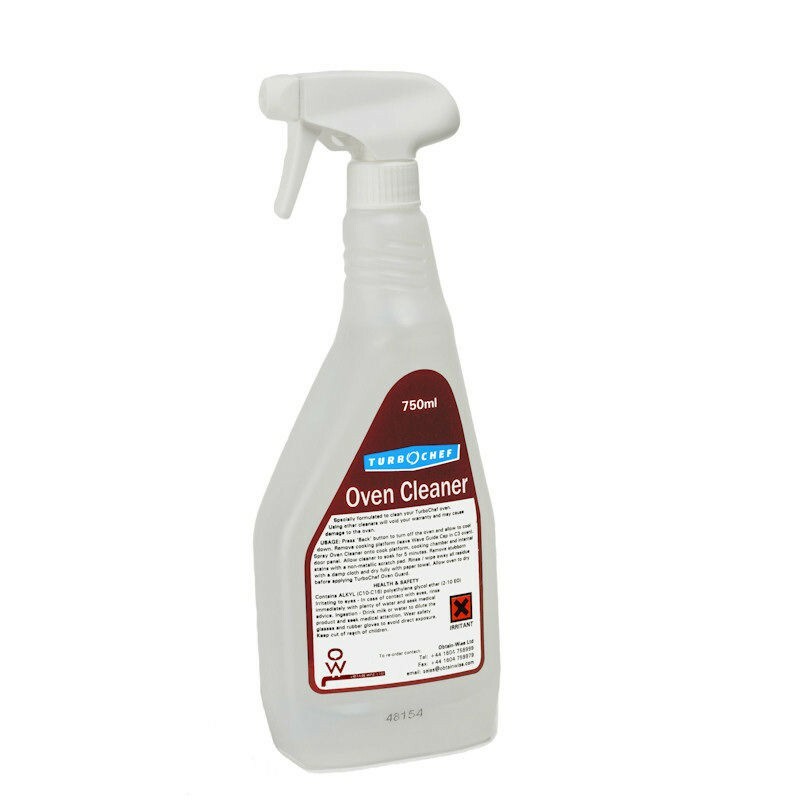 TurboChef Oven Cleaner is a specially formulated non-caustic cleaner for use in TurboChef ovens. It is designed to be used as a daily cleaner in conjunction with TurboChef Oven Guard on ovens with built-in catalytic converters (Ventless Ovens). The use of other cleaners will void your TurboChef Warranty and may cause damage to the oven. Case of 6 x 750ml ready-to-use trigger spray bottles.